The Curator of Exhibitions at UB Art Galleries will be a dynamic, visionary curator who will conceptualize, develop and implement the exhibitions for both UB Art Gallery, Center for the Arts and UB Anderson Gallery that reflect its mission: to present and interpret temporary exhibitions that examine cultural and socio-political topics informing current art practice and provide education and research into the University’s permanent collection of modern/contemporary art. The Curator of Exhibitions will work closely with the UB Art Galleries’ Director and professional staff, university faculty, students and staff, artists, community, and national and international partners to develop innovative and interdisciplinary exhibitions, and related programs that engage the university, students, faculty, the broader Western New York /Southern Ontario region, and beyond. 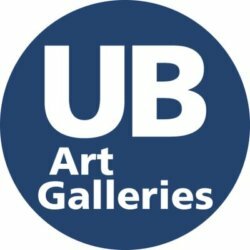 • You will develop programs, projects, lectures, performances, and other events related to the exhibition program that expand audiences and increase the visibility of UB Art Galleries. • You will work closely with staff, particularly the Director and Registrar, to submit a timeline and detailed budgets for each exhibition with specific deadlines. • You will plan, organize and implement catalog publications when appropriate and sufficiently funded, and engage faculty, students, writers and/or consultants to contribute texts. • You will work closely with the Program and Engagement Coordinator and the university’s communications and marketing offices to communicate, promote and publicize UB Art Galleries’ exhibitions and programs including press releases, announcement card design and mailing, website and social media updates, monthly newsletter and general marketing. • You will write press release content for all exhibitions with assistance from staff, guest curators, etc. As determined by the budget and exhibition plans, write brochure text and/or facilitate the design of exhibition brochures, as determined with the Director. Most exhibition catalogues will have commissioned essays, but it is expected that the curator will contribute an essay to the publication. The size and quantity of the brochures and catalogues are determined in part by the budget and the success of elevating outside support. • You will develop professional and collegial relationships with artists, arts organizations, and galleries at the local, national, and international levels. Develop and maintain a strong network of contacts both nationally and internationally with artists, curators, dealers, collectors, etc. • You will supervise and mentor the UB Art Department Graduate Assistant who is responsible for assisting in the planning and implementation of exhibitions at the second floor CFA Art Gallery. Supervision includes meeting regularly with the GA and Head Preparator and also meeting with the appropriate classes to provide assistance with students’ planning their installations and understanding the processes. • Previous curatorial experience and/or related museum/gallery experience. • Demonstrated scholarship and excellent oral and written communication skills. • Applicant must be currently authorized to work in the United States. Follow the link below to learn more about the position and how to apply. Job Categories: Museum and Gallery. Job Types: Full-Time. Job Tags: curator, exhibition, gallery, and university. States: New York.